Great investment opportunity! Two homes on 5 acres! The first home is a 629sq.ft. quaint cabin with a bedroom, a bonus room and a bathroom. It features wood floors in the living room and bedroom, granite flooring in the kitchen, wood beams throughout, and lots of other unique touches. 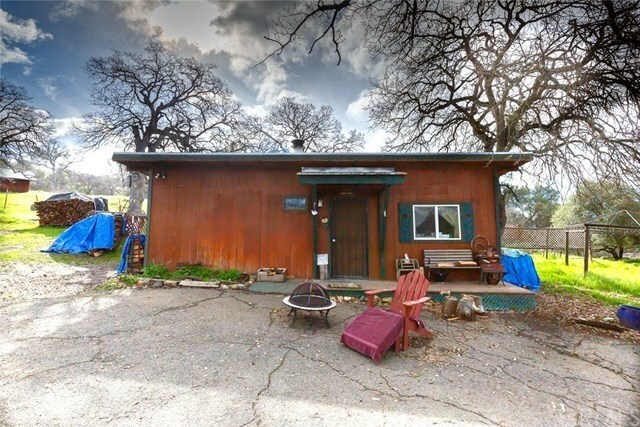 Enjoy getting warm and cozy by the wood stove in the winter or sitting in the shade of one of the lovely oak trees in the summer. This home was previously rented out for $800 a month. The second home is a 2bed. 2bath., 1,056sq.ft 1976. Silvercrest manufactured home. It has been well kept and features wood floors, a wood burning stove and a nice wrap around deck. It is currently being rented out for $800 a month and the renters would love to continue to rent it. So you would be genorating money right away!! Heading outside youâll be able to use the various outbuildings for storage and the many little fenced pastures for animals and gardening. The topography is very open, gentle rolling with pretty granite boulders and a small seasonal pond. At this price this opportunity wonât last so wether you want to use it for an investment, a homestead or both, make sure you set up a showing soon! !